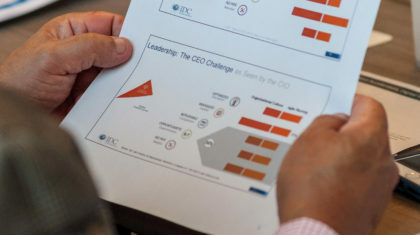 Answers from IDC on where companies stand in the digital age - WorldCity, Inc. 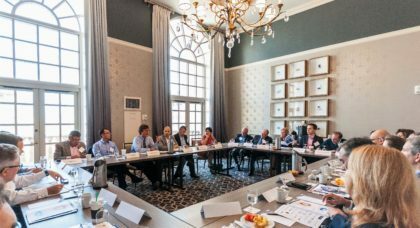 The WorldCity CEO Club convened to share where its companies are on the spectrum of going digital. The round table was split almost 50-50 when asked if they felt their companies were ahead or behind the curve in the digital age. The discussion sparked insights on best practices and current examples of how companies are moving forward in the digital space. 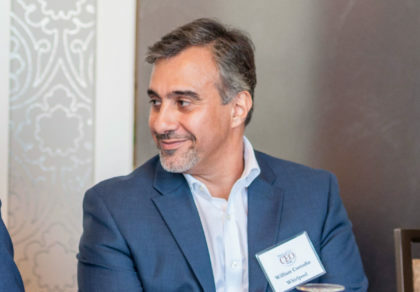 The CEO Club was led this session by International Data Corporation’s Group Vice President for Latin America Ricardo Villate, who said the digital space is still growing by about four percent per year in Latin America despite a less than ideal economic climate. 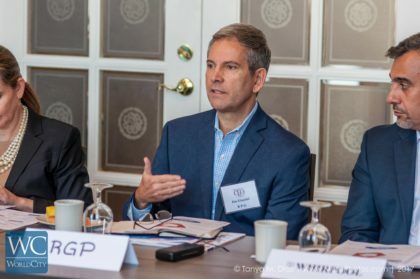 Jim Giustini from RGP discusses how his clients are interested in new forms of office automation. Decision-making is becoming automated (cognitive computing). There is a connection from the machine to a cloud data platform. The machine uses the constant influx of new data from that platform to become smarter. Villate noted it’s important to view these advancements by what it does to improve the business, not necessarily what the technology itself does. Implementing new technology without a clear use/need does not add value. 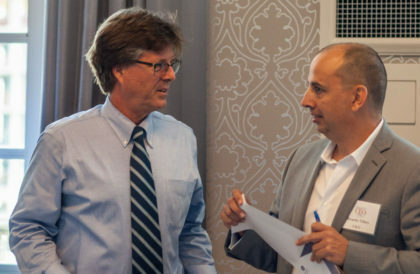 WorldCity President Ken Roberts and discussion leader Ricardo Villate from IDC talk after the CEO Club. The talent gap is growing – a supply of workers that currently do not meet the demand in needed digital areas. Companies in Latin America will be missing 450,000 employees by 2020 for roles that require digital skills. 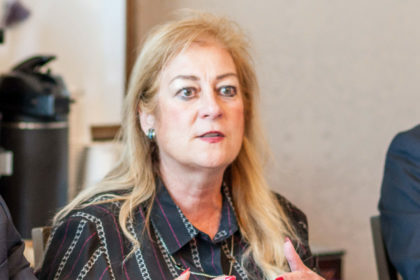 University of Miami Ziff Career Center Director Mary Young asks what skills today’s students need in the digital age. Change management: establishing a structure to manage change to speak the language of digital. Collaboration: Villate cited an example of product designers working together via a cloud platform in manufacturing. Agile innovation: the ability to speed up integration of innovations. C.H. Robinson Worldwide can launch updates as quickly as every two weeks but also manage annual product launches, said the company’s General Manager Jim Mancini. Others utilize a quarterly innovation and integration cycle, said Tiffany and Co. Vice President for Latin America Paula Larroque, as opposed to systems of annual integration that are less malleable. Only 15 percent of CEOs in Latin America believe they are “transformers” in going digital. The rest feel they are “explorers”. How quickly they can migrate to the 15 percent may dictate if their company is set up to increase revenues from the monetization of digital. WorldCity’s Global Connections series continues March 31 with a discussion on Social Media’s evolution in the digital era. On May 5, WorldCity will also hold its World Trade Month Luncheon and 17th Annual Miami Trade Numbers.